Beyonce is gone. We've not seen or heard her this week. I've even checked in the trees regularly, but no, she is not there. I'm hoping she is not in someone's pot, but rather decided she wanted to go walkabout and explore the world. Which has sort of put a bummer on our happy days. 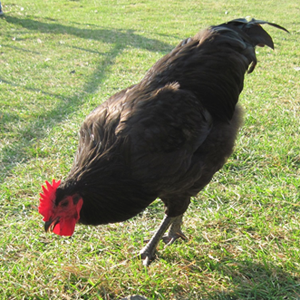 She'd become a part of our lives as she strutted around the garden, clucking contentedly. We were even thinking of finding her a buddy to be feral with. Beyonce is/was a chicken with attitude, who took no nonsense from the cats of the neighbourhood and brought a ray of sunshine into our lives every day, in spite of her disdain of us mere mortals. A very capable chicken indeed who will be sorely missed.